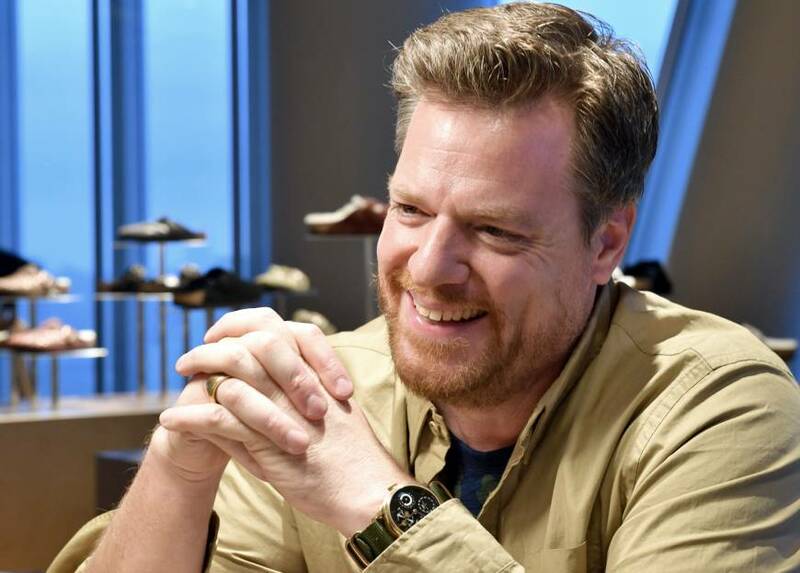 German shoemaker Birkenstock plans to double its business in Japan and offer consumers a wider range of products through selective distribution, according to the first chief executive officer from outside the founding family to run the centuries-old company. The iconic footwear firm known for its ecologically-friendly and orthopedic sandals has been reinventing itself under Oliver Reichert, a tall, sturdy former television journalist who took over the reins of the 243-year-old business in 2013. Under his leadership, the brand has expanded its product line to include bags, beds and natural cosmetics — some of which he plans to showcase to Japanese consumers. In the domestic market, shoppers have for decades been beholden to the local distributor’s tastes when it came to the Birkenstock footwear found in retail outlets. Reichert said the plan to “double business in Japan” does not necessarily mean in terms of revenue or earnings before interest and taxes. “It’s more about penetrating the different channels the right way,” he said during an interview with The Japan Times on Monday at the company’s Japan office, which opened last year in Tokyo’s Aoyama district. While he didn’t disclose revenue figures, Reichert said the privately-owned company has seen its annual global shoe sales soar to 25 million pairs from 10 million since he took over. He said key to the growth has been preserving Birkenstock’s heritage and tradition while having the courage to try new things. This year, for example, Birkenstock has made a push into fashion, collaborating with noted designers and opening mobile pop-up “Box” shops in major cultural centers like Berlin and New York. The company has also been chosen as Footwear News’ 2017 Brand of the Year. 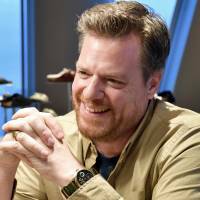 In Japan, Reichert said Birkenstock is working directly with the biggest department stores to plan for ways to display their products and deal with pricing. Birkenstock’s stores in Japan — which number over 60 — are operated by its distribution partner Benexy Corp., which also decides the products featured in the shops. Reichert said from now on his team on the ground will be more involved in what goes where. “They (Benexy) do a brilliant job, but we brought the team here to create something deeper and more detailed. Because from door to door we need to select the proper products, the proper price points and so on,” he said. Reichert said the move was part of an initiative by the company, which employs around 3,800 people and boasts an 80 percent brand awareness globally, to present a more comprehensive image. Reichert said his company is currently looking around for good locations to open more stores in Japan. “We’re checking some locations, but we’re not being pushed by anything to do it now. If we find (good locations), we pick five, maybe. And if not, none,” he said. Birkenstock, founded in 1774 by Johann Adam Birkenstock, is considered an innovator of healthy orthopedic footwear. In 1896 Johann’s descendant, Konrad, invented the flexible “footbed” insole that was later improved on by his son Carl and grandson Karl. The brand, known for its cork latex insole that yields to the form of an individual foot, landed in the United States in 1966 and became a hit among the so-called “flower children” of the era. Its popularity has made several comebacks since, in the 1990s and again in the last several years, thanks in part to fashion’s embrace of practical shoe brands. But before Reichert came aboard, Birkenstock suffered an internal power struggle among Karl’s three sons. In 2010, Reichert, who had been managing director of the television channel Deutsches Sportfernsehen (DSF, now Sport1), happened to meet one of the three, Christian Birkenstock, through a common friend. Christian Birkenstock began seeking Reichert’s advice on various aspects of his business, which eventually turned into a job offer. Reichert took it, and was promoted to CEO four years ago. The company, which remains closely held by brothers Alex and Christian (the other brother, Stephan, has left the company), has given Reichert a free hand to pursue the business. This has led Birkenstock to make some bold moves. Last year, the company made headlines when its U.S. arm said it would stop selling on Amazon.com, the American online retail behemoth, because it said it hadn’t adequately protected the brand from pirated products plaguing its marketplace. Reichert said Birkenstock was able to send such a strong message because revenue coming from Amazon was still relatively small. But for many publicly traded companies, that may not be the case, he said. Reichert said the company is financially healthy and will continue to expand, while both preserving and challenging its heritage and tradition.